Ms. Apple will be starting with GSCM on Monday, March 31, 2014. A strong advocate for children, Violet M. Apple has been dedicated to the development and extension of services to girls for over 25 years. Her past performance and outstanding service to the Girl Scouts are not just noteworthy achievements, but have been her life’s work. She embraces the philosophy that the important work we do today will touch the future through the girls we serve and we will have indeed been the makers of history. Violet has a thorough understanding of the complexities of delivering a safe, contemporary Girl Scout program to more than 40,000 girl members and values the critical role volunteers play in the delivery of services. She has had extensive experience working to align volunteer policies and practices, and integrating strategic initiatives, plans and programs into fundable projects. She has partnered with major corporations and funders such as the United Way, PricewaterhouseCoopers LLP, Raytheon and Comcast to build program support for the Girl Scout Leadership Experience, the Gold Award and STEM initiatives for girls. Since 2008, Violet served as Chief Membership Services Officer for the Girl Scouts of Eastern Massachusetts, where she significantly increased membership in underserved communities. In prior years, she served as the Interim and Chief Operating Officer for Girls Scouts in the Heart of Pennsylvania and the former Penn Laurel Girl Scout Council. Throughout her career, Violet has worked extensively with underserved populations and was instrumental in developing programs that are award winning and now considered best practices. Her commitment and work included building inclusion programs with a special focus on serving girls with disabilities; children affected by AIDS; girls on probation and who resided in residential treatment homes; and girls incarcerated in juvenile facilities. She achieved parity in Girl Scout membership among African American and Latina/Hispanic girl membership in Pennsylvania and continued this work in Massachusetts. Professionally, throughout a five-year span, she has co-presented leadership training for non-profit agency staff; co-presented for the Gateway Institute Training for science teachers through the Museum of Science in Boston, and was a guest presenter for GSUSA on the topics of advocacy and working with state congressional representatives. In 2011, Violet was named one of ten Thought Partners for Girl Scouts of the USA. Her contribution to her local community further confirms her commitment to young people and their development. 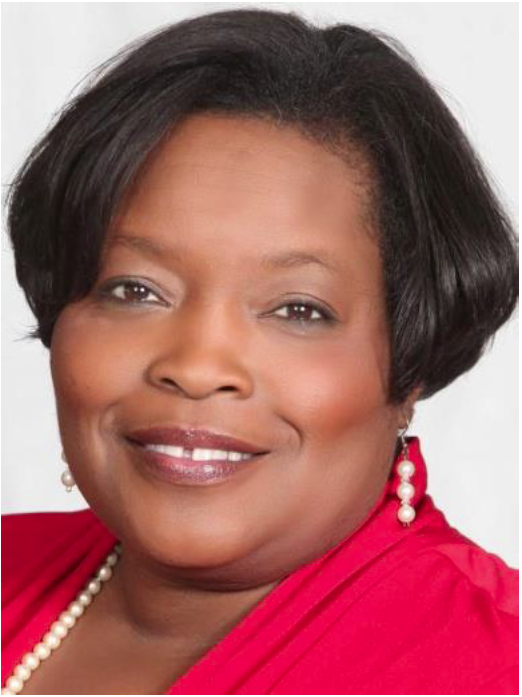 She has served in leadership positions on numerous non-profit boards including: Family Services, Arbor Place Community Center, Crispus Attucks Community Center and United Disabilities Council of Lancaster, PA. In 2013, Violet was asked to serve on the Board Development Committee for Hostelling International-USA. Violet has assisted in providing board members with professional development, strategic planning and diversity awareness training. A tireless community contributor, Violet has participated in capital campaigns and chaired major community fundraising events. She has been recognized with the Fulton Opera House “Women Who Care Award”, the YWCA Racial Justice Award and by the Girls Scouts with the Thanks Badge for achievements in the community in support of Girl Scouts programs. Violet holds a Master of Management degree in Business Administration from Penn State University and a Bachelor of Arts in Social Work from Millersville University of Pennsylvania. She is committed to making a difference in young people’s lives. Congratulations, Violet. We miss you here.